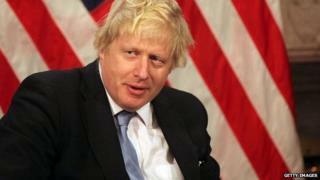 Boris Johnson says he intends to renounce his American citizenship to prove his "commitment to Britain". He told the Sunday Times that his citizenship was "an accident of birth that has left me with this thing. I've got to find a way of sorting it out." The Mayor of London, who was born in New York, has in the past been forced to pay US tax because of his American citizenship. Mr Johnson said he would approach US ambassador Matthew Barzun to explore what steps he had to take to give up his American nationality. The Conservative politician - who was born in Manhattan in 1964 and holds a US passport alongside a British one - said that relinquishing his citizenship was a "laborious business, they don't make it easy for you". His passport was renewed in November 2012 but he had previously stated that he would give it up after being told in 2006 that, as a native born American, he could only use a US passport to travel in that country, and not his British one. "The reason I'm thinking I probably will want to make a change is that my commitment is, and always has been, to Britain," he said. In January he settled a US tax bill he had previously described as "absolutely outrageous". Mr Johnson had faced a demand from the US authorities to pay capital gains tax on profits from the sale of his house in north London. Mr Johnson is running for parliament in Uxbridge and South Ruislip in the forthcoming general election. In 2012 he told US chat show host David Letterman that he could "technically speaking" become US president, as that nation requires its presidential candidates to be a "natural-born citizen". His trade mission to the US this week was aimed at bolstering London's science and technology industries. He began his east coast tour in Boston before heading to New York City and Washington DC. Who, What, Why: Could Boris Johnson be UK PM and then US president?